ISLAMABAD: The Pakistan Ulema Council (PUC) has declared in unambiguous terms that murder of women or girls in the name of ‘honour’ is un-Islamic. The decree was issued by the PUC’s Darul Iftaa. 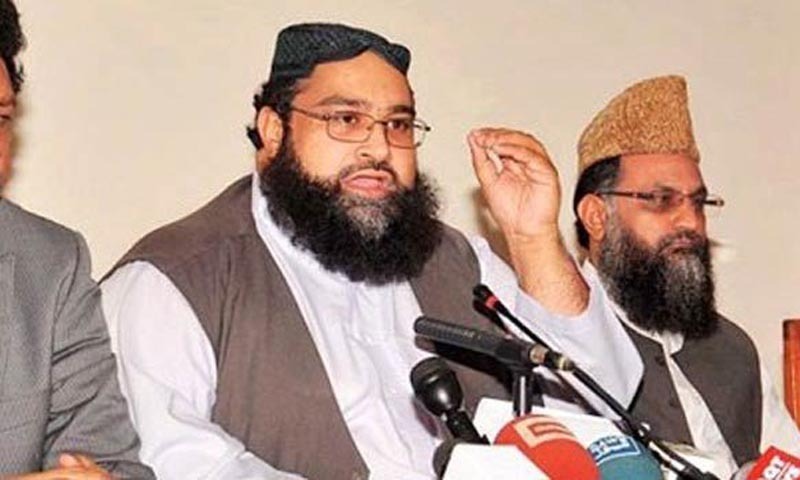 Hafiz Mohammad Tahir Ashrafi, the chairman of the PUC, presented a draft of the decree at a national conference here. The event was attended by diplomats, religious scholars and representatives of minority communities. Hafiz Ashrafi said the murders were usually committed due to suspicion and the killers usually didn’t have any witness to support their allegations. The fatwa was issued on the basis that those killed were generally unmarried girls. “Unmarried girls cannot be murdered even if allegations against them are proven to be correct and there are witnesses against them,” the PUC chairman said. APP adds: A joint declaration adopted at the conference expressed sorrow over incidents of sectarian violence and attacks on places of worship of non-Muslims. Addressing the conference, the Minister for Religious Affairs and Interfaith Harmony, Mohammad Yousuf, urged ulema and the representatives of minority communities to forge a consensus on promoting tolerance in society. 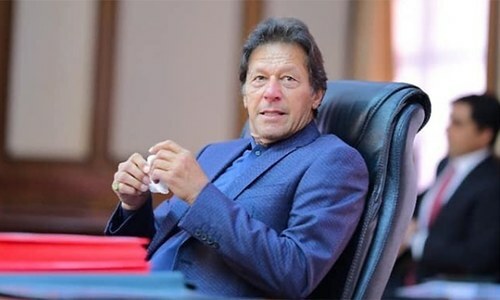 Referring to reports about incidents of forced conversion in Sindh, the minister said such practices were prohibited in Islam. The participants of the conference urged the government to grant legal status to a proposed code of conduct and make sure that it was implemented. — Terrorism committed in the name of Islam is a violation of Islam, and the leadership of all religions and sects declare their dissociation from such acts. — No prayer leader, cleric or speaker will debase or induce his followers to debase any prophets, companions, family members or wives of Prophet Muhammad (PBUH); the four caliphs and Imam Mehdi in his speech or sermon. — No Muslim sect will be declared non-Muslim and no Muslim or non-Muslim will be declared worthy of being killed. — Apart from Azan and Arabic sermon, the use of loudspeakers will be completely banned. — Publication and distribution of offensive and hateful books, literature and pamphlets will be stopped and there will be a complete ban on cassettes and online websites containing objectionable and hateful material. Finally! - some common sense prevailing. Its unfortunate that it took them so long to pass this "fatwa". Though I think it should be obvious and I don't think it would change the minds of extremists. But, I hope at least a few would change their perceptions and that itself would be some success. First time a good fatwa! pointless!! Make this into a law punishable by the system and then we can see. How about declaring it barbaric. Did this council just wake up ? Where was this council in all these years? I see no bit in this fatwa. What not pass a bill in parliament and make a law against honor killings. This all talk and no action. This organization is a ray of hope but they dont represent the majority of cleric class. Declaring "fatwa" does not effect people, killing in the name of honor. Its a deep seated problem, happens even far away in UK, US, Australia. @Hani Abidi Absolutely! Just remember extremist comments about Dr. Shazia Khalid. Did they ask Maulana Sherani? He might differ. Legislation's required. A strict law should be imposed and each violator be made an example (by the State only). Furthermore, there's a dire need for teaching tolerance and morality to the masses so that they may discriminate between what's right & wrong; the good & bad! May Allah swt bestow upon us the light of knowledge, amen! Wow, it took this long! Its not that honor killings have just started! Islamic, un-islamic what does it matter? The point is honour killings need to stop. Period. "Referring to reports about incidents of forced conversion in Sindh, the minister said such practices were prohibited in Islam." Hello....how exactly did the Land of the Pure become full of Muslims, if not for forced conversions of your forefathers ? And just two hours ago too? What about killing for disobediency. Read it carefully folks, it says "generally devoid of Islamic jurisdiction , usually based on suspicion, generally involve unmarried girls". What it means that if these are not the conditions then ? Do not twist what they say as per your desired interpretation. Lastly what legal standing this council has in presence of council of Islamic ideology? Why can't Fatwa comes from legal and constitutional body? Tolerance is the key and I do welcome the positive approach by religious scholars. This is what differentiates Scholars from Mullahs. The code of conduct is a good step forward.But the only dilemma is that we talk too loud and when it comes to implementation we just run away. finally something positive came from them. This is how unfortunate they have made our religion that we need their words to understand basic humanity. They have made Islam to suppress people intellect and rather than attaining eloquence, they have made us to keep us below "common sense". Pakistan is suffering from the God delusion. These bearded clowns have no solutions to te problems of a complex, modern world. @Riaz yea but no one will listen to him. @stranger True. It is as if all wisdom is derived only from religion. God gave us common sense. Use it. So the hypocrites who call themselves Muslims are expected to believe in man made fatwas when they have rejected Allah's Commands. Commands that the Earth, Moon, Sun and the Stars...the Universe could not deny ! Honour killing is a social and cultural problem and must be dealt with accordingly. Declaring it un-Islamic (should have been anti-Islamic) is only a first step in the right direction. It must be propagated to the grass-root level through every mosque, the social media, the media, the civic and social leadership and educational establishment of all description so that we eradicate it once and for all through coordinated voices. If such barbarism carry a wrong and unjustified label of being Islamic then it speaks volume about the failure of our leaderships in all fields. It has given us, our society and country as well as our religion a bad name. The suggestion from several readers that the parliament too should pass a law against it and impose punitive punishments for transgressors and their accomplices is valid and a necessity. The voices of protest are absolutely justified but the one crucial voice absent are those of the victims and their families. It is a massive tragedy that they suffer in silence both before and after the event which should not happen when we have a parliament, an active judiciary and media and a perceptive and well meaning civic society. First, give up this culture of issuing fatwas. There are many things humans of other faith know from birth. But for muslims, it has to be spoon-fed by their so called religious scholars. The only difference between humans and beasts are the presence/absence of conscience. What else is required if conscience is there? Ok...and what about doing something for 'blasphemy' laws? Honour Killings are inhuman first. Don't refer each and everything to religion. If we sincerely holy books, then we must stop talking lies first. But we lie each and every minute and seek almighty for excuse. Good but not good enough........this has to be put into effect so that ' honor killings ' ACTUALLY stop. what took you so long? Now that is indeed an honor for making a sensible statement...All the great things are simple, and many can be expressed in a single word: freedom, justice, honor, duty, mercy, hope. At least PUC has more sense than CII. Who is going to listen to these guys? A more hands on approach is required. It has been a long time coming. Cleanse Pakistan of hate-stirrers. The extremists should be locked up forever along with their families if they support him / them. It should be made into a LAW, and those Mullahs who continue to hate-stir should be stopped for good and not allowed to preach at all. Start a campaign Najma to make it the law. That majority of hate-stirring Mullahs should be dealt with and stopped from preaching. It should be made unacceptable by all Muslims. There is no honour in murdering your own children. All such barbaric families who carry out such savagery should be shunned by the rest in the community. Very unfortunate society. Religious leaders have to declare that the murder is un-Islamic i.e. illegal. still call a rich cultural society. He should not be allowed in Pakistan to preach his kind of immorality. Allah is the ONLY JUDGE, it says so in the Holy Book. No one should ever be allowed to judge others, let alone murder them. If you don't preach HATE, you should have no worry. 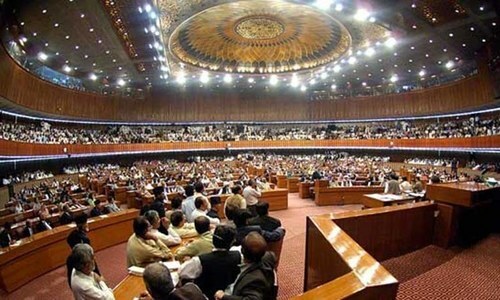 It is up to the decent majority in Pakistan to get it made into the LAW through your Parliament. Keep on pressing your local members of Parliament until it is done. Now the Ulema is doing the perfect job, Killing women and girls is just not fair. the Ulema should have done this long time ago, also there should special supreme court for female matters, only. Education is the key. First educate mosque imams and preachers who provide advice to illiterate people for all religious matters. Secondly, use TV to promote message of peace and harmony, and not hate. These mullahs are trying to stay relevant to a fast changing world. They are trying to catch up to the fact that most of the actions they endorsed in the past are despised, today in the modern world. Welcome to the 21-century. @MAN FROM UNCLE A Palestinian, Muslim family(mother and father) killed their 15-year old daughter, by strangulation for wearing western clothes in the basement of their house and then burying here there. This is just not a problem of Muslims of Pakistan alone. I've been reading Islamic laws recently and safeguards against forced marriages, honor killings are already in place. People are willfully going against Islam each time an incident like this occurs. I doubt they'll care about fatwas and whatnot. There are many fatwas given on these subjects. Who honestly cares? Women have many rights in Islam, forget choice of marriage, acceptance of a proposal by free will and inheritance. Have they ever been given any of them? Finally, our Ulema is doing the honorable deed of denouncing pre-Islamic barbaric practices of this heinous crime against women which has never been intrinsic to Islam's core values. This and many other anti-Islamic practices should be condemned immediately and not fester till it's too late. Thank goodness cool heads are prevailing and Inshallah, our society will once again be sane after so much insanity. FYI, in your most misguided POV that Pakistan is full of "forced conversions" is patently false. The majority of Muslims in the Subcontinent including some my own ancestors converted from Judaism to Islam without any compulsion whatsoever. Many Muslims from Europe and the Mid East, Russia, etc, converted of their own accord and for the love and respect shown to them by Muslim leaders such as the Salahuddin the Great. Please read up on Islamic history written by genuine Muslim scholars and not by anti-Islamic Hindus or others whose miniscule knowledge of Islamic history is shamefully distorted. I find it very strange since here in India, I never found any Christians or Hindus refer to either Bible, Gita etc., for guidance on common sense topics. The best news I have heard from any religious group in a very long time . They have given very good and very healthy recommendations. I hope the government considers and implements these guidelines. @sameer Imagine people have to wait for the mullahs to decide what is right and what is wrong. These people have a herd mentality. They cannot make up their mind. Hence the country is ruled by mullahs, and at other times, by the military.